And they're off! Take the lead right out of the gate with the proper advance publicity for the horsey set. 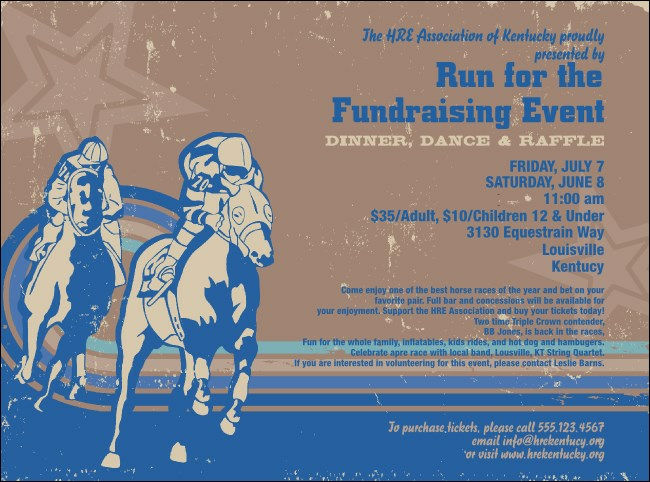 Try this Horse Racing Flyer in blue and tan, with two thoroughbreds coming around the bend under a lucky star. Add twenty-three lines of custom text to the template and get the message across to racing fans everywhere. Race to the finish with TicketPrinting.com.